Beloved husband, father, grandfather, brother, uncle and friend passed away peacefully at his home, with his family by his side on Friday, October 6, 2017. He was 65 years old. Patrick Gerald Wolgast was born on June 2, 1952 in Saginaw, Michigan to the late Gerald and Patricia (Naessens) Wolgast. He was a proud 1970 graduate of Hemlock High School. Following graduation he attended Ferris State University. Patrick married the love of his life, Gail Ann Erskine on October 1, 1977 in Hemlock, recently celebrating their 40th anniversary. He began working for the family business, the Wolgast Corporation in 1972. Patrick retired in 2009 after 37 years of service. After taking over the helm in the early 1980’s as president and COO, he was truly the heart and soul of the company. 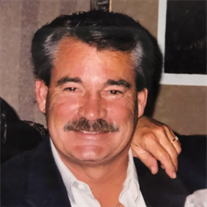 Patrick was the co-founder of Wolgast Development, founding member of 1st State Bank and River End Preserve and a prominent supporter of the Junior Achievement of Saginaw. Patrick was a charter member of the 100 Club. He was instrumental in forming the Saginaw Valley Area Chapter of the Associated Builders and Contractors in 1977. Patrick also funded and built the Saginaw County Veterans Memorial Plaza. He enjoyed his cottage on Higgin’s Lake and being outdoors. Surviving are his wife Gail Ann Wolgast of Saginaw; one daughter, Linsie (Justin) Smith of Saginaw; one son, Nicholas Wolgast of Saginaw and his fiancée, Keisha Eckert of Gaylord; three grandchildren: Nicholas and Olivia Chasnis and Greyson Smith; two nephews he considered sons: Brent Wolgast of Birmingham and Kevin Wolgast of Saginaw; one brother and two sisters: Lynn (Bebe) Wolgast of Saginaw, Darla (Richard) Romano of San Francisco, CA and Ann Denise (Denny) Sabo of Spring Hill, FL; a sister-in-law, Karolyn (Craig) Wolgast-Goslin; a mother-in-law, Marie Erskine of Hemlock; three sisters-in-law: Christine Marcotte, Vicki (Tom) Ewald and Patricia Zimmerman; a special friend, cousin and caregiver, Charles Alcanter of Freeland; and special friend and colleague, Stephanie Graft-Goschka of Saginaw. Also surviving are many nieces, nephews, extended family member and friends. He was preceded in death by his parents, Gerald and Patricia Wolgast; a grandson, Ashton Smith; three brothers: Kevin Wolgast, Daniel Wolgast and Mark Wolgast; a nephew Matthew Wolgast; and father-in-law, Hersey Erskine. FUNERAL: A Funeral Liturgy will take place at 11:00 a.m. on Tuesday, October 10, 2017 at Holy Spirit Catholic Church, 1035 N. River Road. Rev. Fr. Peter J. Gaspeny will officiate. Honoring Patrick’s wishes cremation has taken place. VISITATION: Friends are welcome to visit with the family at the Deisler Funeral Home, 2233 Hemmeter Rd. (off State) on Sunday October 8, 2017 from 3:00 p.m. to 7:00 p.m. Visitation will resume on Monday from 3:00 p.m. to 7:00 p.m. and on Tuesday from 10:00 a.m. until the time of the Mass. MEMORIALS: In lieu of flowers, those planning an expression of sympathy may wish to consider memorials to Ronald McDonald House, Hidden Harvest and the Rescue Ministries of Saginaw. Please share your thoughts and memories with the family at the funeral home church or through www.deislerfuneralhome.com.